Caffeine is a popular performance-enhancing supplement taken by both recreational and elite sportspeople. A recent clinical trial has found that getting a caffeine hit from regular coffee is just as effective on sports endurance as popping caffeine tablets. The world of sports supplements is dominated by over-priced, over-hyped, and mostly ineffective pills and potions. There are though a handful of supplements that have a solid evidence base for their use and caffeine is one of those. Caffeine acts as a neuromuscular stimulant and when used in the sports arena, acts to change perceptions of effort or fatigue, improve muscle fibre recruitment, and have a direct effect on cardiac muscle. Most of the research into caffeine has used the laboratory setting to measure time to exercise exhaustion on a bike or treadmill with the results from many studies pointing to a favourable benefit. Caffeine was removed from the World Anti-Doping Prohibited List in 2004, partly because it is widely consumed in a normal diet, so it has been open season since then for anyone who wants to dose up on caffeine pills. Caffeine doses of between 2 to 3 mg per kilogram body weight have been shown to be effective in a range of exercise protocols, with an average of around a 3% improvement in performance in time-to-exhaustion studies. For a 70kg person, two 100 mg No-Doz caffeine tablets would would give a caffeine dose of around 3 mg/kg body weight. The research field of caffeine has mostly used it in a pure form, with very little research looking at ‘real world’ use by drinking coffee. For a typical person, two strong coffees should give the same caffeine dose as those used to show performance enhancing effects. 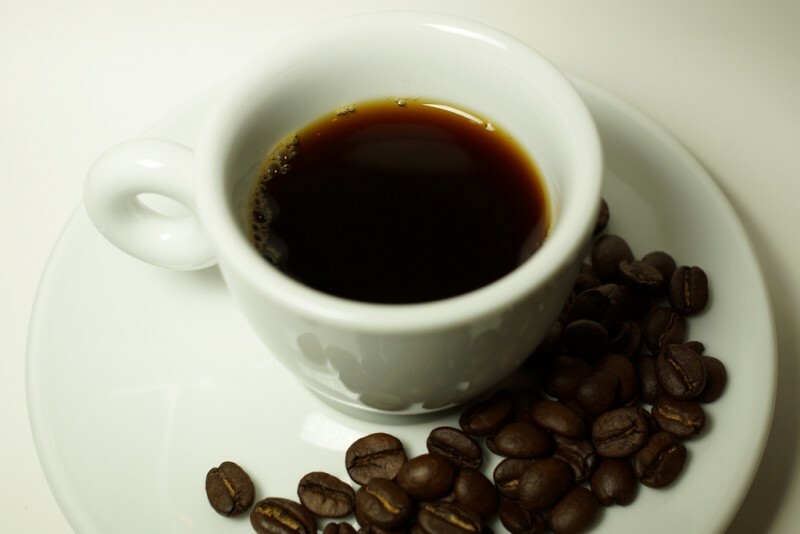 Yet, not all research shows coffee being equivalent to pure caffeine, leading to speculation that substances in coffee may inhibit some of caffeine’s action. With limited evidence to date, researchers designed a new study to test the effectiveness of coffee versus caffeine in a laboratory time trial cycling experiment. Eight trained male triathletes attended the laboratory on four separate occasions for the time trial. Each session involved being randomly given either a drink containing caffeine, instant coffee, instant decaffeinated coffee, or a placebo. The amount of instant coffee each person drank was modified to provide the same dose of caffeine as that used in the caffeine drink. The time trial efforts under the caffeine and regular instant coffee conditions were clearly superior, showing an approximate 5% quicker time compared to the placebo or decaffeinated coffee conditions. Greater power output was also seen under both the caffeine and regular coffee conditions. The full research study is available online through the open access journal PLOS One. Coffee and caffeine are both able to improve exercise performance. The one point for budding athletes to be aware of, is that the amount of caffeine in coffee can be quite variable, meaning it is hard to know exactly what dose a person is having from their morning espresso. Thanks Marika. You’ve answered your own question as wrote ‘that most people have the impression…’ – yes, they have the impression that coffee is a diuretic, but it isn’t because 1) water losses (around 1ml per mg of caffeine) are much less than the typical amount of water in these drinks and 2) people become habituated to caffeine after a time so any water losses from it are minimal. Very interesting post, indeed! I’m wondering about the following though: We all know that caffeine is a diuretic. And, of course, athletes should be concerned about loosing too much fluid. But apparently if we drink a “normal” Long Black or Latte we consume more water than lost by the diuretic effect of caffeine. Right? So, how come that most people have the impression that they need to urinate more often when drinking coffee? This would mean the loose more water, doesn’t it?